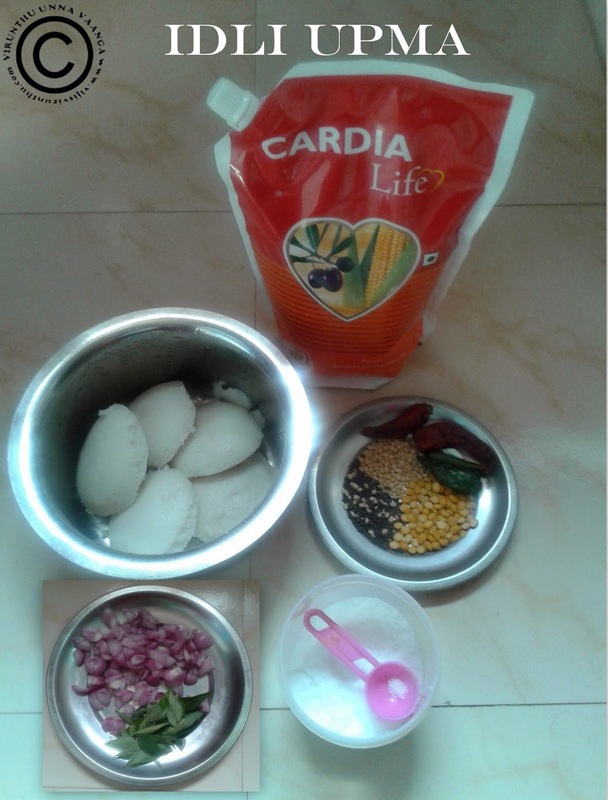 Hi friends, after two days of break again here to blog the simple left over idli recipe. 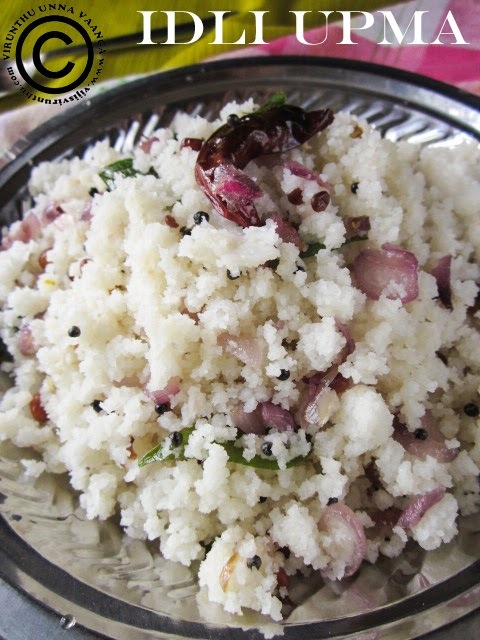 Upma is our family favorite, and the idli upma is all time favorite but this is my first tried at home but tasted a lot during my hostel days. 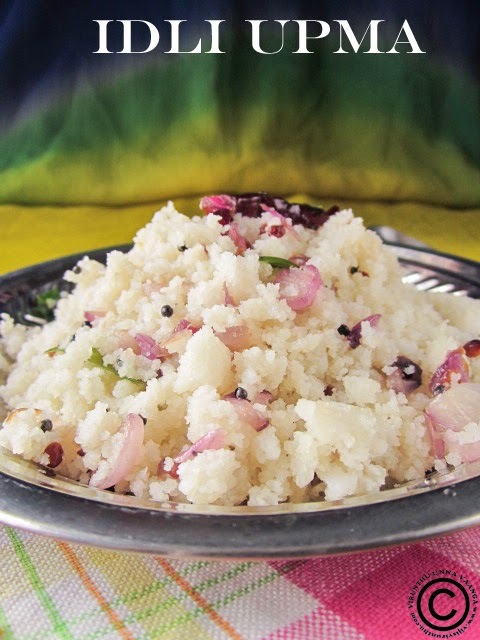 You can make the simple and delicious idli upma in a jiffy. 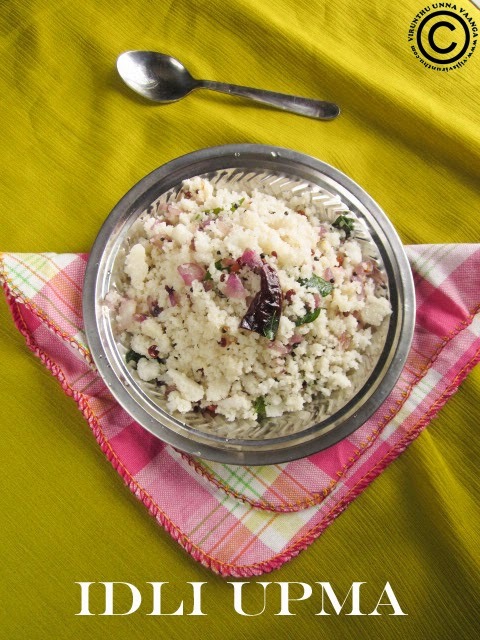 Crumble the idlies like rava by clean hands and keep it aside. 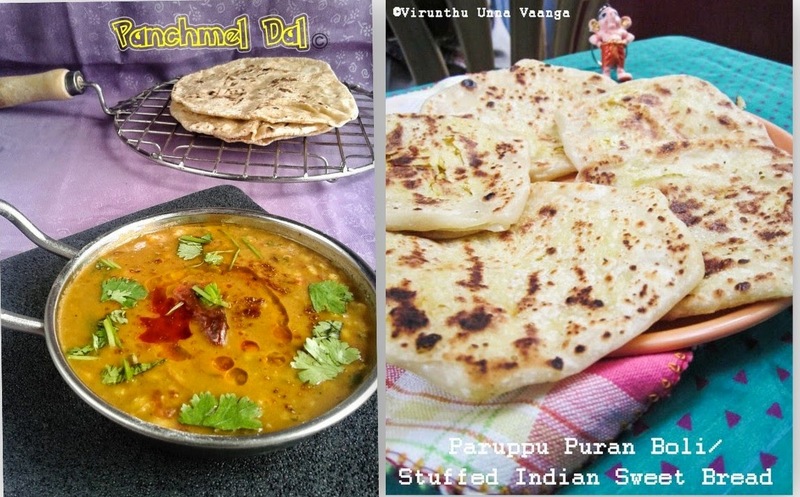 Heat oil in pan; add channa dal, urad dal and mustard seeds wait for sputter. 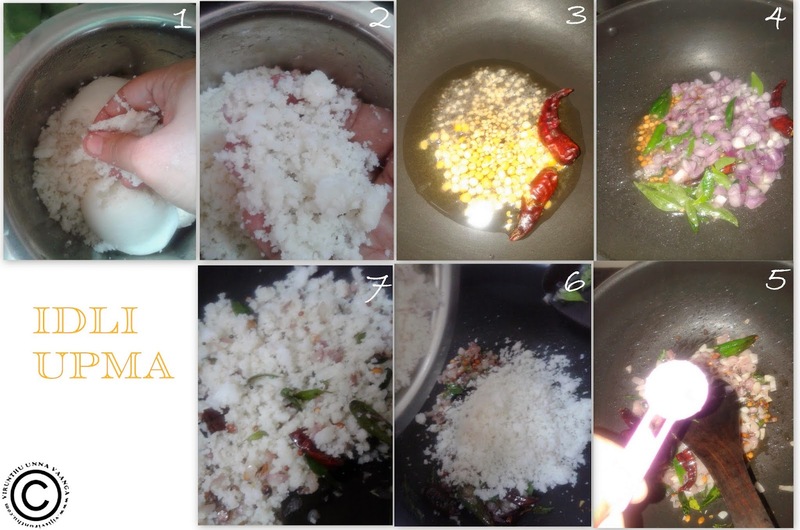 Add dry red chillies, following by add shallots, curry leaves and green chillies, and then add salt sauté it till the onion turns translucent. Now add crumble idlies and mix it well on low flame for 2 minute, then switch off the flame. 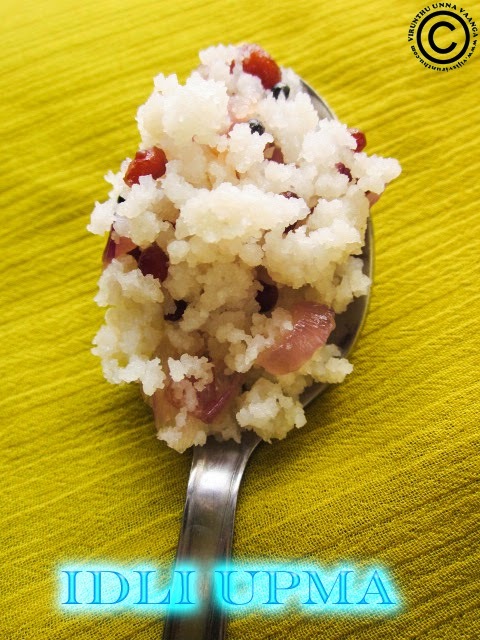 You can add turmeric powder and your favorite veggies with it. Don’t crumble the idlies while hot, it will be mushy, I kept in refrigeration for an hour and then crumbled. 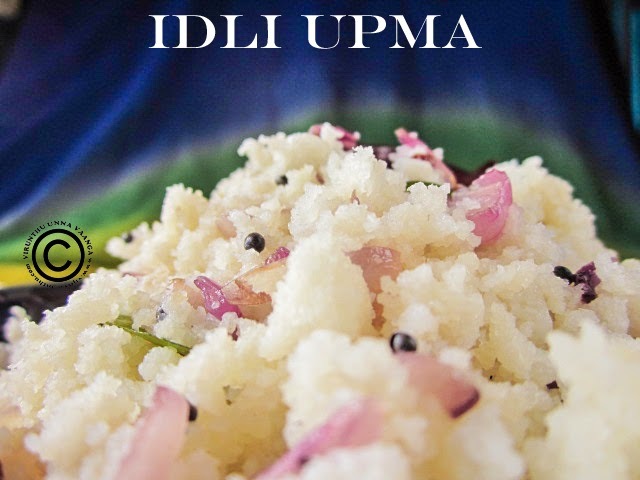 EASY AND DELICIOUS IDLI UPMA!!! 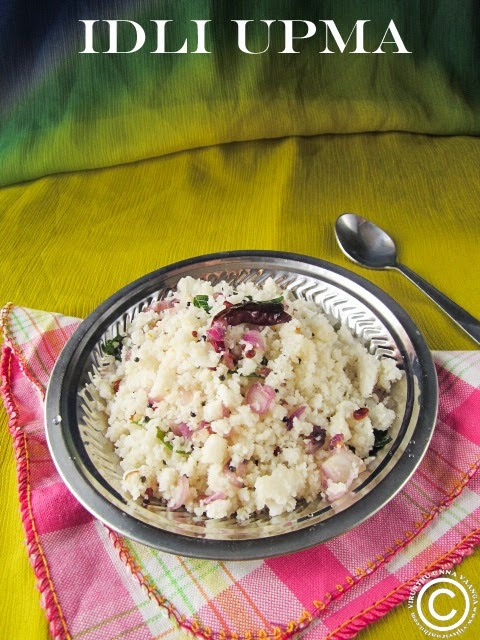 Very toothsome and healthy upma...would love to have it now. 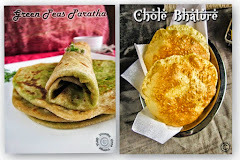 a lovely way to finish off the left over idlis!! !